The Albatros D.III, biplane fighter that stood out in the period of German aerial dominance in 1917 and which was flown by many of famous German aces – including Manfred von Richthofen, Ernst Udet, Erich Löwenhardt, Kurt Wolff, and Karl Emil Schäfer - is one of the WW1 aircraft coming soon in the new series of WW1 Wings of Glory Airplane Packs. It would be fair to say that Albatros created one very good fighter design in 1916 and spent the rest of the war improving it. The first model - the D.I - first appeared in August of 1916 and a slow production start meant only 50 models were at the front by November. But the design was special - beginning with a thin plywood fuselage with minimal internal bracing that provided a more aerodynamic shape and much less weight than the box-frame/fabric fuselages in common use. Though the plane was not particularly maneuverable, it was fast and powerful, sporting two machine guns. A few tweaks - mainly upper wing position - turned the design into the D.II model, which went into larger production (although only about 300 were made). German ace Ernst Udet with an Albatros D.III. 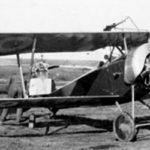 German High Command had asked manufacturers to copy the Nieuport 17, but Albatros instead took their basic D.II fuselage and re-designed the wings toward the “sesquiplane” look, with a larger upper wing and a smaller, narrower lower wing and “V” struts in between. A few reached the front as early as January 1917. While performance was greatly improved, the faster, heavier Albatros put too much stress on the original wing design, leading to failures under combat maneuvers (a few pilots died, Manfred von Richthofen managed to land with a cracked lower wing). Though construction improved, the design flaw persisted through the D.V version (although the Austrians managed to correct it in later versions they built.) The better planes arrived at the front in enough numbers to make “Bloody April” an unforgettable chapter in aviation history. Reasonably fast and maneuverable, with two guns versus most allied fighters armed with only one, the Albatros denied the Allies the air superiority they had enjoyed with the DH-2 and Nieuport fighters and made life very difficult until new models arrived. The Albatros factory moved D.III production to their Ostdeutsche Albatros Werke (OAW) partner, even while Bloody April was under way, so that they could shift production to the slightly improved D.V model. Both the D.III and D.V were produced all through 1917 and D.IIIs were still in service in the summer of 1918. The Austrians built the D.III under license but began to make changes and improvements with successive productions, improving streamlining, strengthening the lower wing, and making a faster, more maneuverable plane that was very competitive to the end of the war. The Albatros D.III is featured in Wings of Glory in three versions, presenting equipment used by the pilots Hermann Frommherz, Kurt Gruber (Austrian), and Manfred von Richthofen. All three models include a special card, “Lockable Controls”, to reflect a feature of the Albatros, allowing the controls to be locked into a straight flight. While this could relieve pilot fatigue and other useful things, in game terms it allows the pilot to use both hands working to unjam guns, meaning the game penalty is shorter when using this optional rule-- but at a price! Each plane has other special cards, unique to the pilot or the plane. Hermann Frommherz flew the “Blaue Maus,” a light blue Albatros D.III. Hermann Frommherz mobilized into the infantry at the beginning of the war, serving in both France and Russia. He transferred to aviation in June, 1915, and began work as a 2-seater pilot in the tactical bomber squadron Kagohl IV, serving at both Verdun and the Somme. 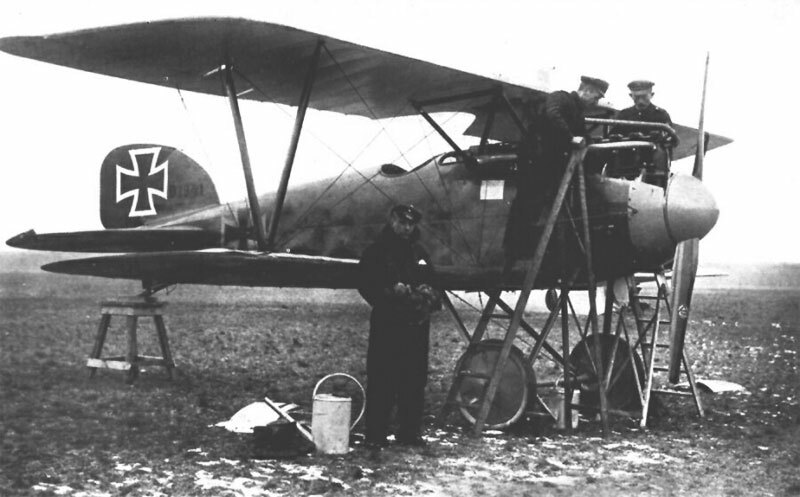 He then served in Romania and the Balkans before being invited to join Boelcke’s elite Jasta 2, beginning service there in a light blue Albatros D.III he named “Blaue Maus,” which is featured in the Airplane Pack. Frommherz scored two victories during Bloody April but was injured in a crash in May, 1917, that kept him out of flying for several months, after which he became a flight instructor. Post war, he remained at work in flying, including training pilots for Chaing Kai-shek. Joining the Luftwaffe, he commanded a fighter wing before the war began and then held an administrative post in overall fighter defense. He died of a heart attack in 1964. Though Frommherz only flew the "Blaue Maus" for a few weeks, the paint scheme is well known. Less known is that the ace Werner Voss did some of his early flying in this aircraft. This model includes the Sniper card, and a very interesting "expert trainer" card, which allows the pilot to give extra abilities to a fellow pilot flying nearby. 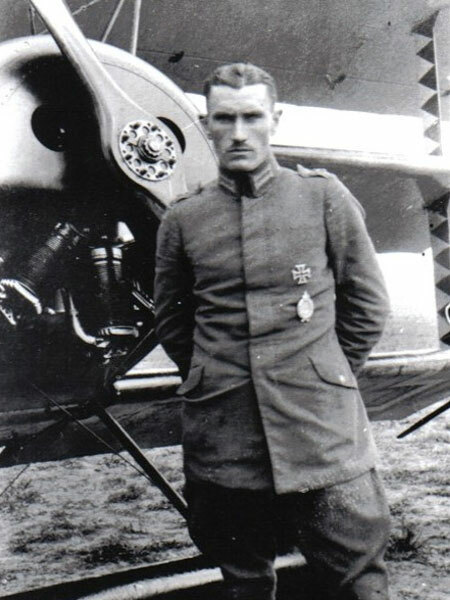 The Austro-Hungarian pilot Karl Gruber. Born in Linz, Austria, in 1896, Kurt Gruber was conscripted into the Austro-Hungarian Army when the war began. He was an engineering student, which helped him transfer to the air service. He was flying 2-seaters by August, 1915, and soon became one of the pilots who observers asked to fly with. 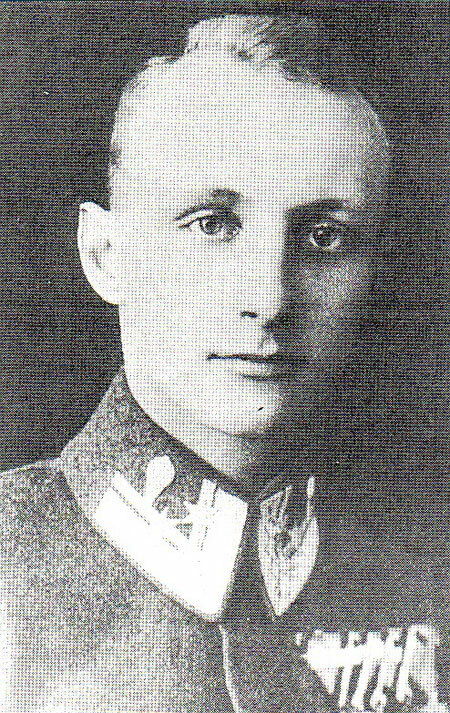 His first victories came through the guns of his observers (Austrian practice gave both pilot and observer the credit) and came while he was piloting for Godwin Brumowski, who eventually became Austria’s top fighter pilot. In late 1916, he became a test pilot and in May 1917, transferred to Austria’s first true fighter squadron, Flik 41J, though injuries from a crash kept him from flying until September. 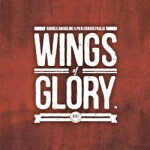 Like the squadron, he flew a variety of fighters (including the Albatros in Wings of Glory). In late 1917 he transferred to Flik 60J, under Linke-Crawford (a pilot seen in one of our Aviatik D-1 models) and eventually brought his score to 11 planes, although he was killed in April, 1918 in combat with Sopwith Camels, right after his last victory. The Albatros D.III Oeffag in Wings of Glory used by Gruber comes from early production models, which were a virtual copy of the German version. It was flown in the Summer and Fall of 1917 and used by several other pilots in Flik 41J, including Josef Novák, Hermann Richter and Ignaz Pillwein. The aircraft itself later went to the Flik 2 and survived the war, being sold as surplus in 1920. Airplanes like this, from series 53, had performance virtually the same as German types and uses the same stats and maneuver deck. The model includes an Ace skill card of the "Perfect Aim" ability, while the variances of the Austrian-made airplane (which put the guns underneath the fuselage hood) set up the option of making it impossible to recover from jammed guns-- an interesting handicap that players can add to games if they choose. In addition to slight streamlining, this modification was made because the Schwarzlose machine guns included a cartridge oiler to reduce jams, which (if located in the open in front of the pilot) sent a fine spray of oil back on the windscreen or pilot’s goggles. The third Albatros D.III coming in the Airplane Packs was flown by Manfred von Richthofen. His history is well known and it was already presented when we presented the Fokker Dr.I. So, let’s talk about his experiences with the Albatros D.III, the very first airplane that he painted red, after receiving one of the first models in January, 1917. He achieved his 17th and 18th victories in this first D.III, but felt the lower wing crack during the fight for #18, landing nearby. As his D.II had already been given to another pilot, he would spend February and March flying mostly the Halberstadt D.II, though he got one victory in a borrowed D.III! 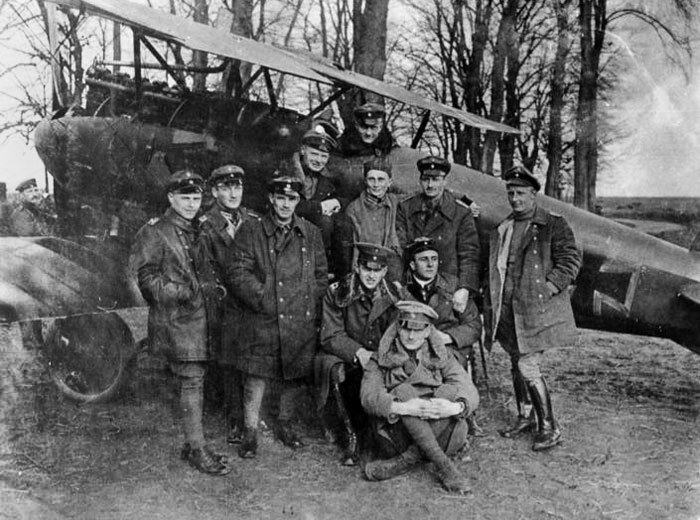 Manfred von Richthofen in his red Albatros D.III with other pilots of the famous Jagdstaffel 11. Finally restored to a D.III (2253/17) at the end of March, he made the fuselage entirely red (even painting over the national markings), but the wings were left in the factory paint scheme. He scored 23 victories flying this plane. The model (789/17) featured in Wings of Glory was delivered to Jagdstaffel 11 on May 2nd, right after Richthofen had been forced to take leave. He used this when he returned in June, achieving his 53rd victory against a R.E.8 and alternating use of the D.III with the newly arrived D-V.
Special cards in this model cover MvR’s shooting skills by allowing him both the first shot "Trigger Finger" and the "Sniper," while his survivability is reflected in game terms with the "Super Ace" designation (for faster recovery) and the Acrobatic Pilot card. Outside of his battle with Hawker, we know that MvR was rather famous for NOT being a fancy flier, but he certainly managed to survive many battles and, in game terms, these skills will help him do so. Information sources: "Albatros D.III (Windsock Datafile Special)", Grosz, Peter M.(Albatros Publications, 2003), "Austro-Hungarian Army Aircraft of World War I", Grosz, Peter M., George Haddow and Peter Schiemer (Flying Machines Press, 2002), "Albatros Aces of World War I Part 2 (Aircraft of the Aces No. 77)", VanWyngarden, Greg (Osprey Publishing, 2007), "Austro-Hungarian aces of World War 1", Christopher Chant (Osprey Publishing, 2002), "Above the Lines: The Aces and Fighter Units of the German Air Service, Naval Air Service and Flanders Marine Corps, 1914–1918", Franks, Norman; Bailey, Frank W.; Guest, Russell (Grub Street Publishing, 2008), "Under the Guns of the Red Baron", Franks, Giblin, McCrery (Grub Street Publishing, October 23, 2007), WW2 Gravestone. *Bundesarchiv, Bild 183-2004-0430-501 / CC-BY-SA 3.0], via Wikimedia Commons.